The Odessa Mirror is a simple yet lovely piece featuring an oval shape with a mirrored frame. Each section of the frame and mirror glass has a small bevel. However that's not all! 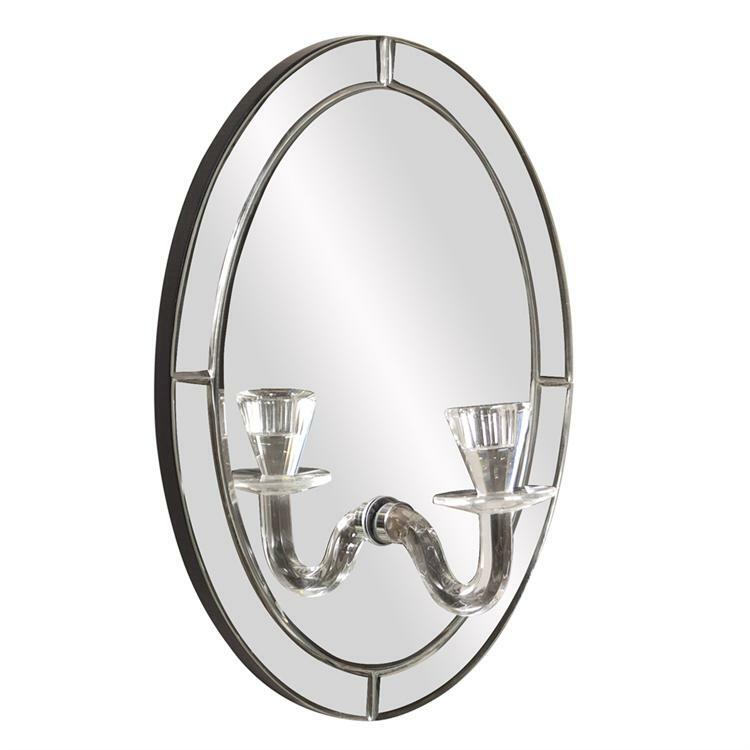 This Odessa Mirror is affixed with a silver candle holder that fits a taper candle (not included). Hang multiples together for a truly striking wall display. Available without the candle holder. Customizable for larger orders.